(US Vendor) The Cocoa Co. is a family-owned and operated cocoa manufacturer in the great state of Minnesota. Every box of cocoa we sell is produced by hand and packaged at our facility near Luverne, Minnesota. We prepare our rich and creamy cocoa in small batches for the finest quality and taste. A lot of love goes into every ounce of cocoa we produce. Since our company was founded in 2010, we’ve built a reputation for treating every customer like family. We hope when you take your first sip, you too will feel a part of our family! 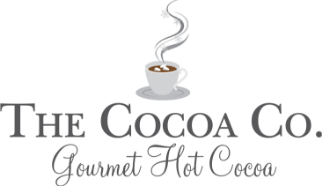 The Cocoa Co. + Fundraising offers delicious gourmet hot cocoa in a variety of flavors. Our rich and creamy cocoas are unlike any you’ve ever tried! We hand-craft our cocoa in small batches for the finest taste. Our company is passionate about the GEMS ministry and want to help your Club achieve your fundraising goals. Our fundraising program offers your Club the opportunity to earn up to 50% profit, with NO startup costs and NO minimums! One sip of our gourmet cocoa and you’ll taste the difference!